Found down a soi of bland shophouses across the road from the garish Christian Massage centre, we didn’t expect to find much here, but on stepping inside we were pleasantly surprised. Average rating 8 from 26 reviews. This small 11-room hotel is more like a designer apartment, with bold artwork and some lavish accents including elaborate tiling in the bathroom, stainless steel doors, intricate wood panels and whirlpool bathtubs. Larger rooms are furnished with sofas or soft lounge chairs, and all are equipped with air-con, safes, kettles, fridges, desks, flat-screen TVs and DVD players. The jacuzzi suite is definitely the spot for romance with a gigantic king-sized bed, too. Open since 2007, Baipho is well maintained and everything looks immaculately clean and new. As a bonus, there’s a big heated jacuzzi on the rooftop, which is covered so you can enjoy a soak in all weather conditions. The surrounding terrace has several sunbeds and chairs. On the ground floor is an open-air restaurant and bar. Breakfast is included, as well as WiFi. The staff and owner here are friendly, too. Couples especially will like it here. 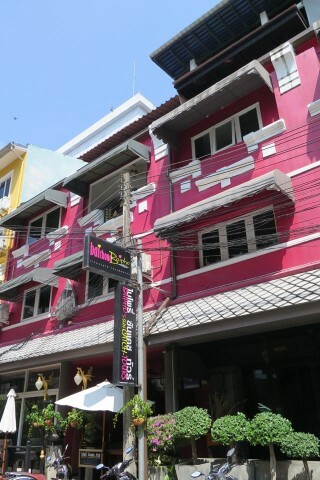 Check rates at Baipho Lifestyle Residence on Booking.com.